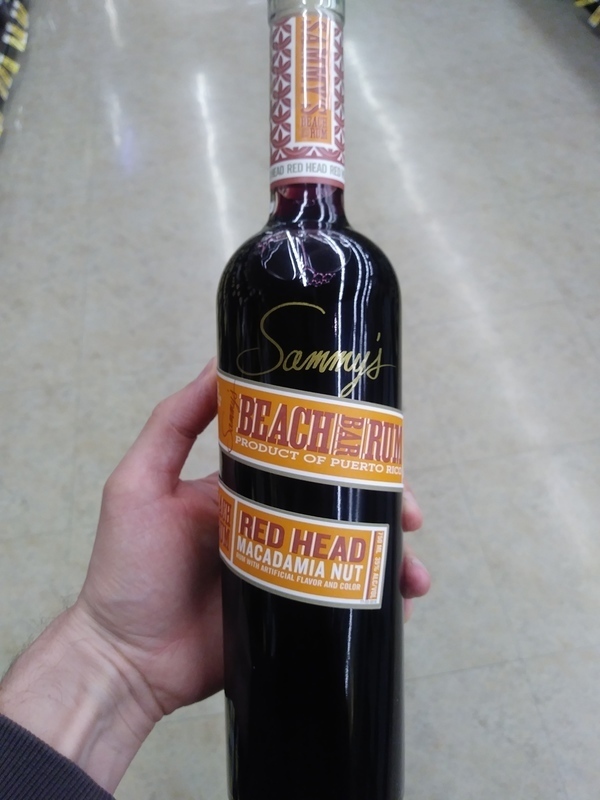 Have you found an online vendor selling Sammys Beach Bar Red Head? strong spirits, a mouth feel like tequila. Good in a mixer, but that's it. Having lots of time to kill in the McCarran International Airport in Las Vegas, I came across Sammy's Beach Bar. Surely his very own rums can be found there. Having fairly good luck with a bottle of his white rum, I just had to try this one by the glass. I had also been forewarned from many of these reviews. Well. to my surprise, I actually liked the macadamia nut flavor. The color red was kind of odd, but oh well. To the best of my knowledge, the only other macadamia nut rum was made by Trader Vic's. I really liked this one and could not order another for fear of missing my flight. Red rum, good idea! The Macademia flavor makes it taste like cookies! a good thing to sip, I would love to see how it would be in cocktails, unfortunately i'm not in maui anymore! nice deep red color! would be good with red velvet cake! Enjoyed a bottle of Sammy's Beach Bar Red Head Rum with my friend while road tripping through 18 states and 5,000 miles. Silly and super cheap looking bottle and label design. Reddish color indicating nothing but artificial flavor overload. Overly sweet combination of macadamia nuts and cough syrup to the nose and palate. Nasty burn at the end. Bad even when mixed. The reddish color should have been an indication to how much it would taste like rum. It reminded me of a strong cough syrup with a consistency similar as well. Unfortunately it’s now a decorative bottle instead of a treat to have occasionally. Pretty disappointed. Looked forward to trying this one for a while? Very heavy on the syrupy robitussin flavor. Light on the macadamia nut. However it may be good as a mixer. I haven't completely given up yet. This rum "product" is way to sweet. I cannot think of what kind of cocktail to pair it with. Maybe it would be good in a coffee drink or baked into a cake. Not bad, not special.Funky Jamaican pot still type flavor. Not worth the price. This is a smooth sailing sipper. The taste of the sip is not main stream. It is a funky alternative to other American made white rums. I call it an American white agricole. I would rate this in preference higher to some white agricole if looking for a clean sipper not overly intense. It is very smooth and not harsh at all just tastes a bit different than your standard white rum. Not what I expected for a white rum, definitely pot stil flavors. Not great straight but interesting flovors with coke.